I know it has been a while since the last installment of this series, but you can look forward to more of the beers of Texas over the next few weeks. This lager is a full bodied southern German style lager. It has a deep golden in color and contains a malty sweetness throughout the whole pint. Brewed with a traditional Bavarian Lager yeast aged at least 6 weeks, makes this beer smooth to drink. The 4.8% ABV makes this a good year around Beer. 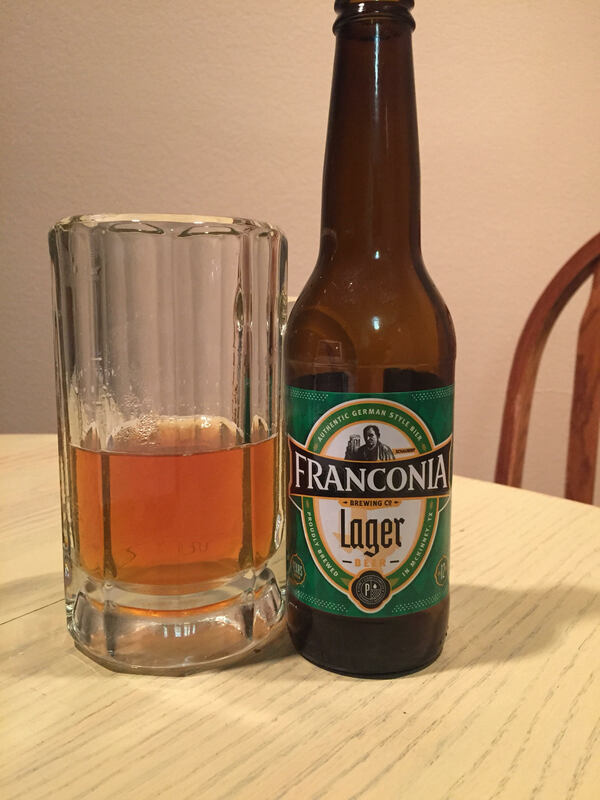 Franconia Brewing uses only Two Row Pale malt and some Munich malt to brew this beer. Franconia Lager pours as a perfect clear golden amber with a medium white foamy head that is exactly what I expect from a best in class lager. The aroma floods the nose with sweet fruity goodness that reflects exactly what you are about to taste. The taste is delicious sweet grain that lingers with a nice hop punch in the sequence. The drink is smooth, refreshing and just the right potency for it’s class. If you are looking for a sweet treat beer to break up the monotony of strong IPAs this Franconia does the job. The community on Beer Advocate rated Franconia Lager 87. Please let me know any thought to improve the video I did with this post. I intend to do more of this, and I am really still working out the bugs.